Mount San Jacinto is the most prominent peak in Southern California (third in California behind Mount Whitney and Mount Shasta). It is one of three peaks with an altitude higher than 10,000 feet and with at least 500 meters prominence (the other two are Mount San Gorgonio and Mount Baldy). The peak offers spectacular 360-degree views, including those of the San Jacinto Mountains, San Bernardino Mountains, San Gabriel Mountains, Santa Ana Mountains, Mojave Desert, Joshua Tree National Park, and Salton Sea. 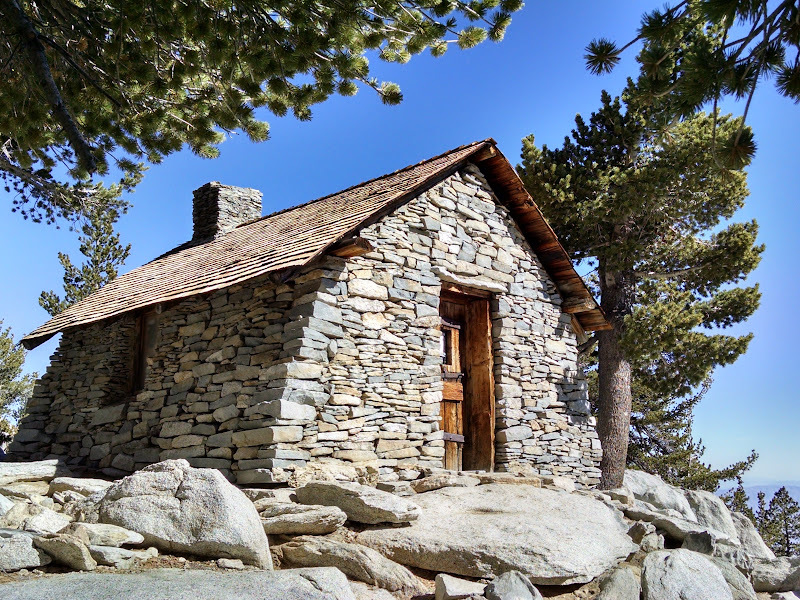 A day-use Wilderness Permit is required and can be self-issued at the Long Valley Ranger Station, an overnight permit must be obtained in advance. San Jacinto Peak Trail starts at the mountain station of Palm Springs Aerial Tramway. After a short paved descent to Long Valley, it passes the ranger station (webcam) and heads west to Round Valley (camp at 9,100 feet) and Wellman Divide. Then the trail turns north, switches back once, and merges with the one coming up from Idyllwild. After passing the summit hut, the trail leads over some boulders to the summit. 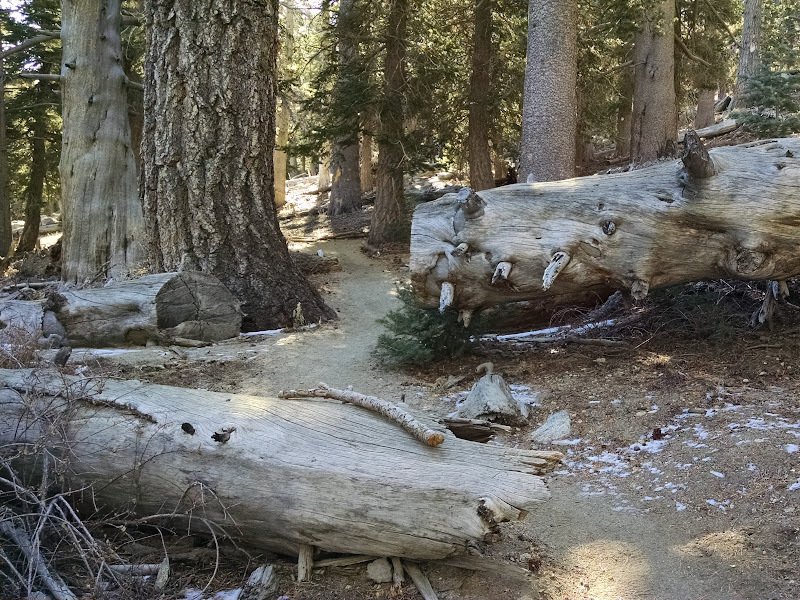 Marion Mountain Trail starts at Marion Mountain Campground, about 7 miles on Highway 243 north of Idyllwild. After 2.8 miles, it reaches Deer Springs / Seven Pines Junction and enters the Pacific Crest Trail (PCT). After 0.5 miles (3.3 total), the trail reaches Fuller Ridge Junction and leaves the PCT. After 1 mile (4.3 total), it reaches Little Round Valley (camp at 9,800 feet). 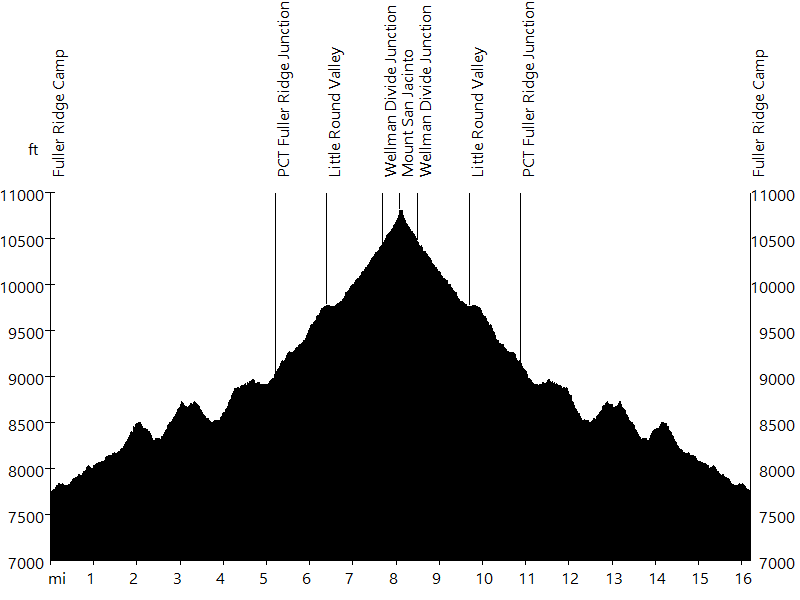 After 1.6 miles (5.9 total), the trail reaches Wellman Divide Junction. After 0.3 more miles (6.2 total), it reaches San Jacinto Peak. Seven Pines Trail starts 1.6 miles after Dark Canyon Campground (dirt road), about 7 miles on Highway 243 north of Idyllwild. After 3.5 miles, it reaches Deer Springs / Marion Mountain Junction and enters the Pacific Crest Trail (PCT). After 0.5 miles (4 total), the trail reaches Fuller Ridge Junction and leaves the PCT. After 1 mile (5 total), it reaches Little Round Valley (camp at 9,800 feet). 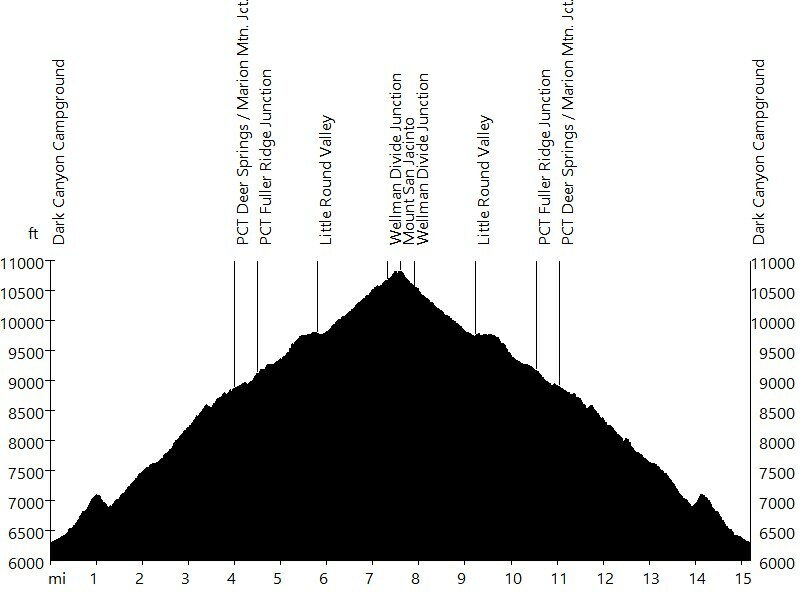 After 1.6 miles (6.6 total), the trail reaches Wellman Divide Junction. After 0.3 more miles (6.9 total), it reaches San Jacinto Peak. Fuller Ridge Trail starts at Fuller Ridge Camp, about 10 miles on Highway 243 north of Idyllwild (8 on dirt road 4S01). It is a section of the Pacific Crest Trail (PCT). 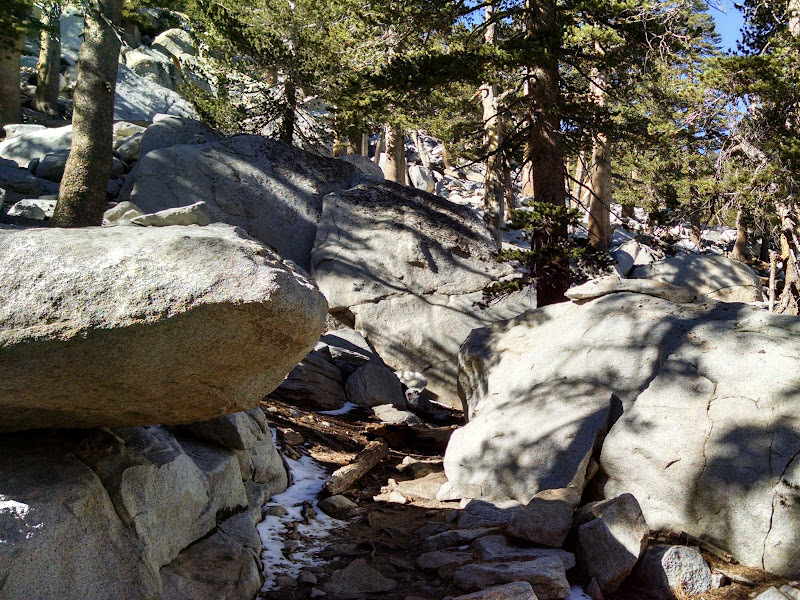 After 2 miles, the trail offers a great view of Mount San Jacinto. After 3 miles (5 total), it reaches Fuller Ridge Junction and leaves the PCT. 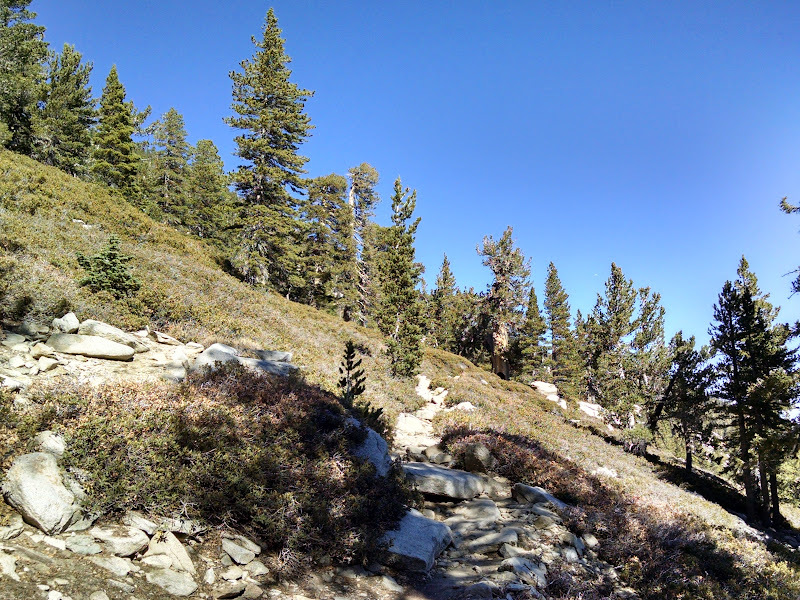 After 1 mile (6 total), the trail reaches Little Round Valley (camp at 9,800 feet). After 1.6 miles (7.6 total), it reaches Wellman Divide Junction. 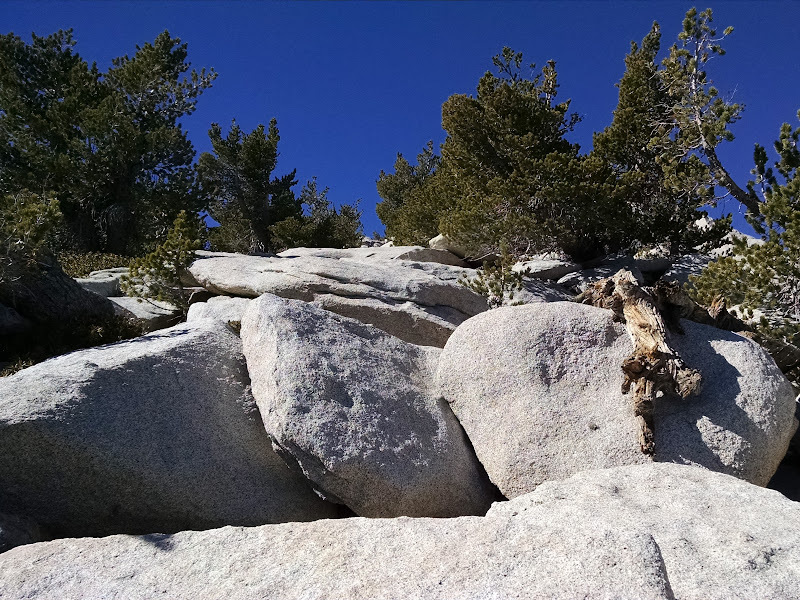 After 0.3 more miles (7.9 total), the trail reaches San Jacinto Peak. Deer Springs Trail starts at Highway 243, about half a mile north of Idyllwild. After 2.3 miles, it reaches Suicide Rock Junction. After 1.8 miles (4.1 total), the trail reaches Strawberry Juntion (camp at 8,000 feet) and enters the Pacific Crest Trail (PCT). After 2.3 miles (6.4 total), it reaches Marion Mountain / Seven Pines Junction. After 0.5 miles (6.9 total), the trail reaches Fuller Ridge Junction and leaves the PCT. After 1 mile (7.9 total), it reaches Little Round Valley (camp at 9,800 feet). After 1.6 miles (9.5 total), the trail reaches Wellman Divide Junction. After 0.3 more miles (9.8 total), it reaches San Jacinto Peak. Devil's Slide Trail starts at Humber Park in Idyllwild, near Tahquitz and Suicide Rock. After 2.5 miles, it reaches Saddle Junction and enters the Pacific Crest Trail (PCT). After 1.9 miles (4.4 total), the trail reaches Wellman Divide Junction and leaves the PCT. After 1 mile (5.4 total), it reaches Wellman Divide. 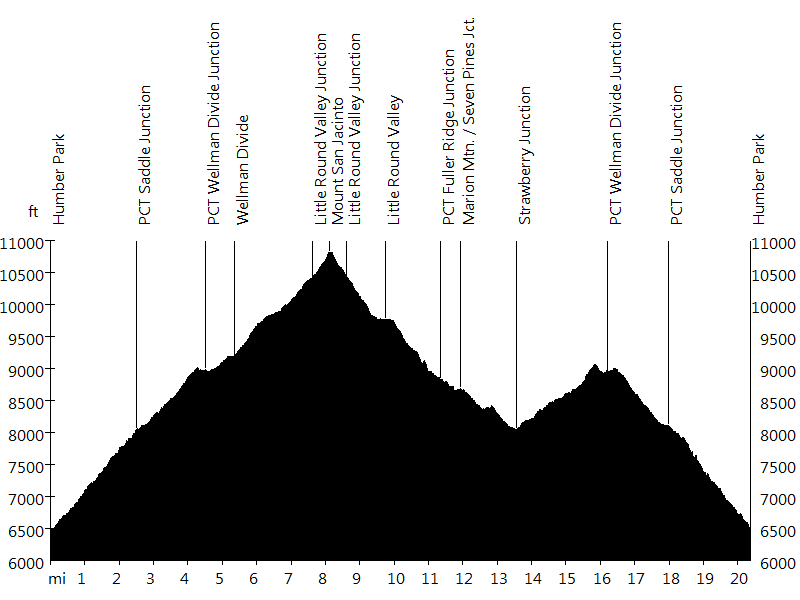 After 2.4 miles (7.8 total), the trail reaches Little Round Valley Junction. After 0.3 more miles (8.1 total), it reaches San Jacinto Peak. From here options include returning or continuing on for a loop. In case of a loop, the trail returns to Little Round Valley Junction, and after 1.6 miles (10 total), reaches Little Round Valley (camp at 9,800 feet). 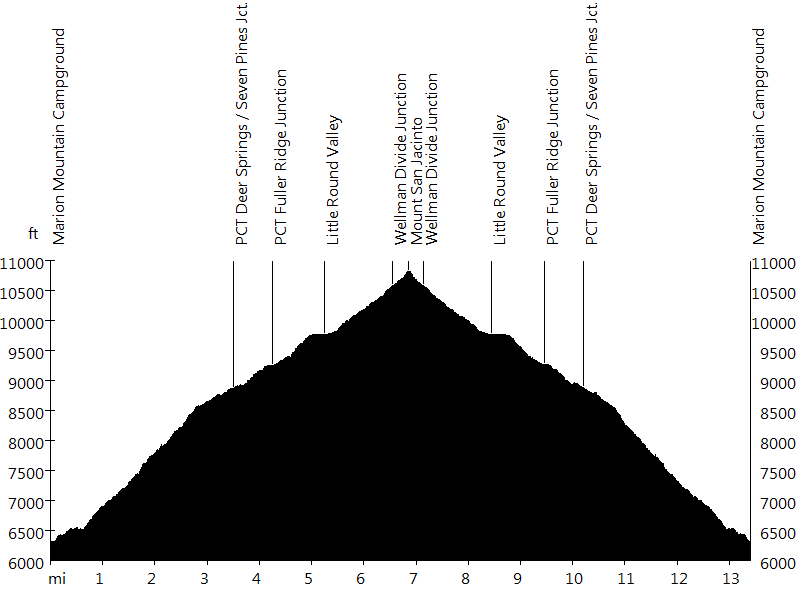 After 1 mile (11 total), the trail reaches Fuller Ridge Junction and re-enters the PCT. After 0.5 miles (11.5 total), it reaches Marion Mountain / Seven Pines Junction. 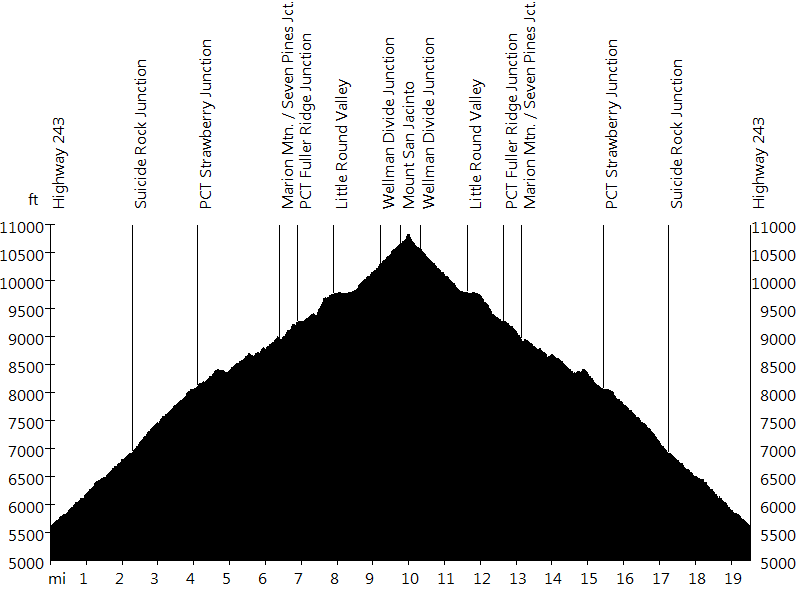 After 2.3 miles (13.8 total), the trail reaches Strawberry Junction (camp at 8,000 feet). 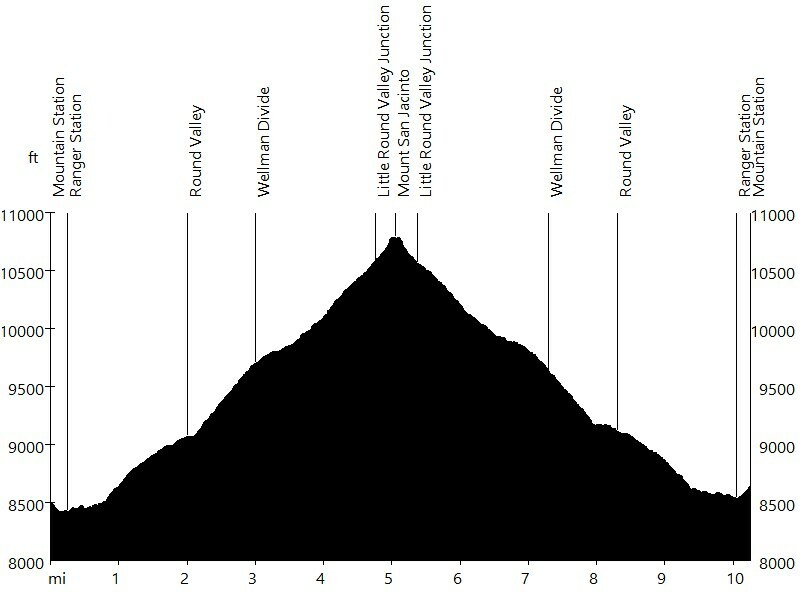 After 2.3 miles uphill (16.1 total), it reaches Wellman Divide Junction, from where it continues on down to Saddle Junction and back to Humber Park. The other trails include Cactus to Clouds Trail. John Muir wrote: "The view from San Jacinto is the most sublime spectacle to be found anywhere on this earth." 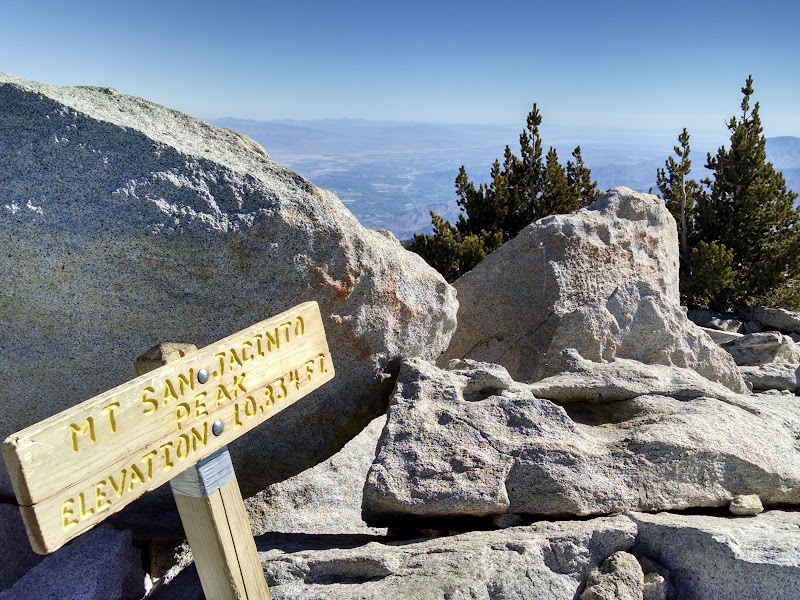 In November I hiked San Jacinto Peak Trail. In March I hiked San Jacinto Peak Trail during a winter storm. I was the only person to summit for the day. The snow and wind wiped out my own tracks, which made orientation difficult. A week later I came back on a sunny day. At the summit I met Thorsten R. from Switzerland, and we descended via Tamarack Valley. In April I hiked Deer Springs Trail and, after reaching the summit, camped at Little Round Valley. The only water source was a creek below the camp. I met several PCT through hikers. 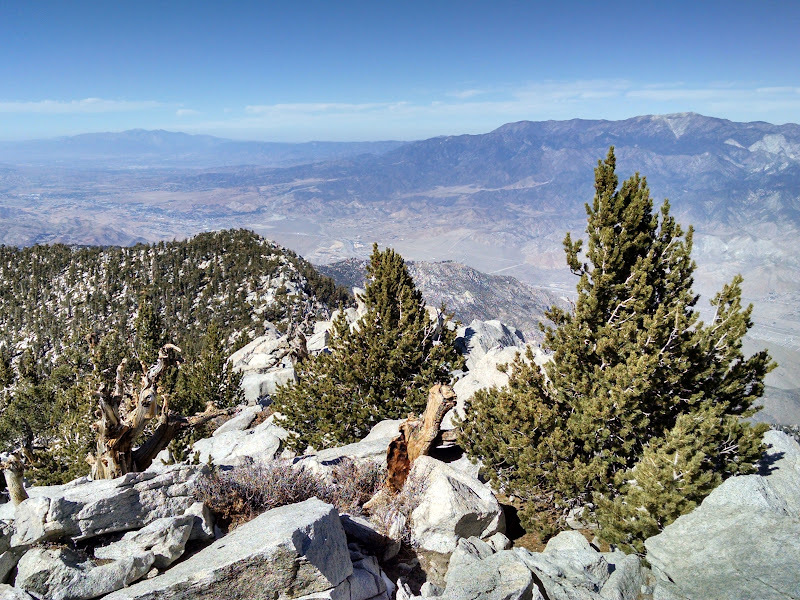 In May I hiked San Jacinto Peak Trail with Lisa, and we descended via Tamarack Valley. In June I hiked Marion Mountain Trail with Sandra and, after reaching the summit, we camped at Little Round Valley. In March I hiked Devil's Slide Trail and, after reaching the summit via Wellman Divide, camped at Little Round Valley. I met several PCT through hikers. In July I hiked Fuller Ridge Trail with Sandra and, after reaching the summit, we camped at Little Round Valley. On this trail the creek below the camp is crossed twice. In February Lisa, Mishayla, and I hiked San Jacinto Peak Trail. We had to turn back at Wellman Divide due to avalanche risk. In August I hiked Seven Pines Trail and, after reaching the summit, camped at Little Round Valley. On this trail the creek below the camp is crossed five times.